Spring days are wonderful with warmer temperatures and blooming flowers, but for millions of people, spring means the beginning of allergy season. Itchy eyes, scratchy throats, runny noses and sneezing are just a few of the symptoms that plague those who suffer with allergies. The medical approach to treating allergies, which are an immune response, is prescribing antihistamines which treat the symptoms without addressing the cause. Antihistamines are designed to block a reaction by your own immune system. 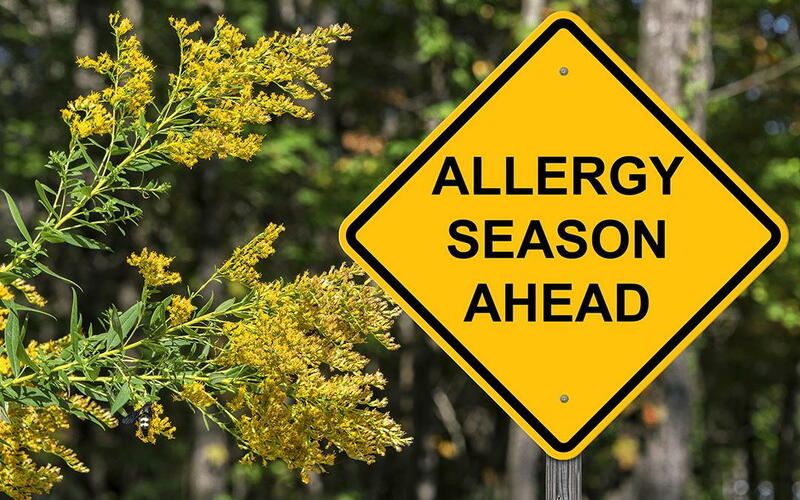 They don’t get rid of the allergens or make your body not allergic to what it is reacting to, but instead, makes your immune system unable to produce certain chemicals in order to prevent sneezing (which is one of the body’s ways to expel the allergen invader). This makes you much more susceptible to infection in certain areas in your body like your sinuses and throat. Additionally, long-term use of antihistamines can cause serious heart problems and has been linked to dementia. Chiropractic boosts and enhances your immune system, which is directly controlled by the nervous system; the health of one affects the health of the other. Correcting misalignments of the spine (subluxations) decreases stress to the nervous system allowing our body to work more effectively to neutralize the allergies in the environment. Chiropractic is not a cure for allergies but by decreasing the stresses on the spine and nervous system, chiropractic often helps people adapt better to all the stresses in their environment, including those related to allergies.